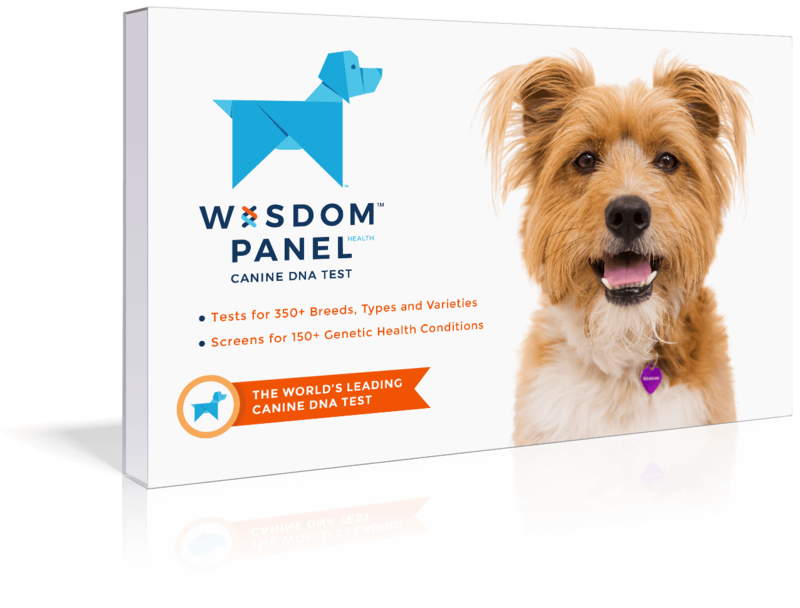 Intelligent, hard working, and alert. Good jogging and hiking companions as well as swimmers. 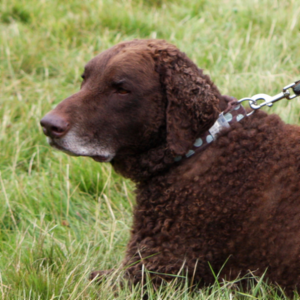 Enjoys dog sports such retrieving, tracking, hunting, field trials, rally, agility, flyball, and competitive obedience. 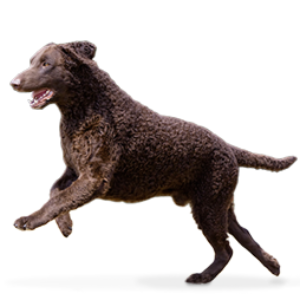 Responds well to reward-based training which may also reduce tendency to retrieve inappropriate items. 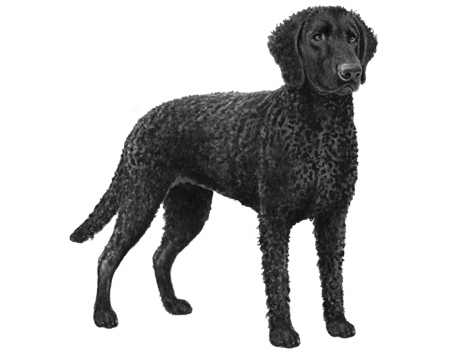 One of the oldest retriever breeds, the intelligent and independent Curly-Coated Retriever began life in 19th century England. 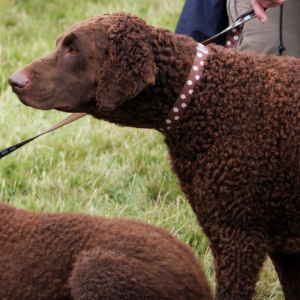 Many have speculated about the exact mix of breeds which brought about the distinct mass of tight curls these dogs are famous for. 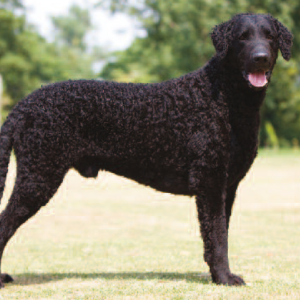 Candidates include the Close-Curled English Water Dog, the St. John’s Newfoundland and the Old Water Spaniel. Whoever fathered (or mothered) them, their popularity eventually spread from England to Australia and New Zealand. And no wonder. 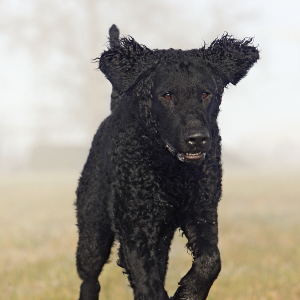 With their sensitive and loyal natures, the Curly-Coated Retriever has attractive qualities, both inside and out.